for Website Apps and Mobile Apps. 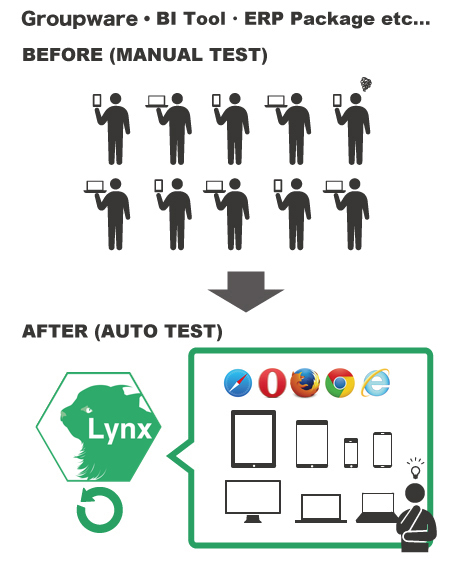 Lynx can automated all end-to-end UI testing. 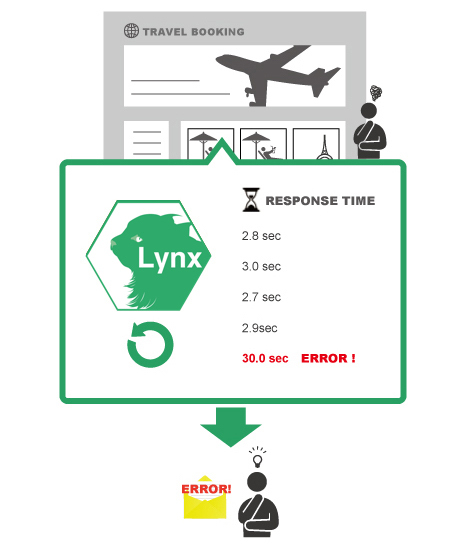 Lynx also can automatically detect degraded, low response times and so on. When the error has occurred, Lynx will send email/chat in real time. Maintain all script when specification is changed or specification change. Unable to request item related materials. Items in cart displayed incorrectly. Checking manually for undesirable words or phrases takes time. Automatically monitors Web site 24/7. Automatically searches for dead links and other errors and notifies client via e-mail. Finds errors before users do. Reduction in number of possible customers lost. Unable to request additional materials and info. Response time slows down at peak hours/under high demand. Displays incorrectly on certain web-browsers. Displays incorrectly on certain smartphones. 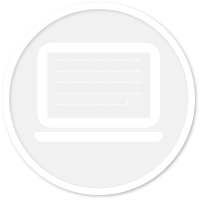 Automatically tests multi-devices, reducing required man-hours substantially. Need to test on a wide variety of multi-browser. Having a huge amount of degrade and operational testing. Environment dependent errors occur often. Platform dependent service outages occur often. 24/7 automatic monitors for existing functionality degradation, dead links, etc., which arise from developing added functionality. Automatically notifies client of errors via e-mail. 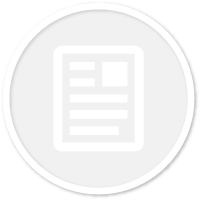 Automatically checks for platform dependent issues and oversees multi-browser testing. Please apply for membership below. We will send you ID and password to your email address. Please press the login button at the upper right and login. You need to change your password upon the first login. Please login and press enrollment button in the upper right menu. Please enter your inquiry and press the "send" button. About your enquiry, we will contact you shortly. ※Exceeded quota of test case, may incur an extra fee. ※Minimum period of operation is 3 months. Fee is charged monthly. Please enter your inquiry and press the "send" button. © HumanCrest Co.,Ltd All rights reserved.